The Ice Age franchise is one of the most successful animation series still in production. It might not have the Pixar brand behind it, but the prehistoric adventures of Manny, Sid, Diego and the others, continue to be popular with audiences across the planet. 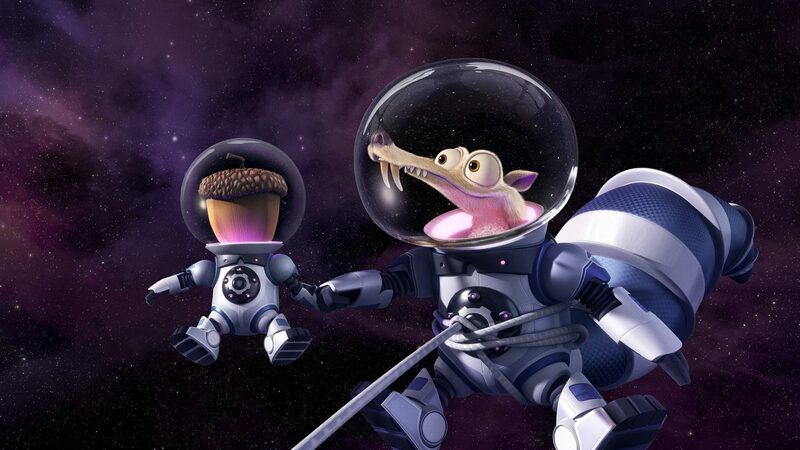 Now on its fifth instalment, Ice Age: Collision Course starts with Scrat’s ongoing pursuit of his ever-elusive prize. The chase ends up heading into space, and subsequently setting a meteorite on a direct collision course with Earth. Co-director Galen T. Chu explains how this premise was actually set up in the first film, when the characters discovered a UFO that had been frozen in ice. Buck, voiced by Simon Pegg, returns from one of the earlier films in this one, joining a new addition in the form of singer Jessie J.
Simon Pegg also sings a number in this film. How do you split the roles with your co-director (Mike Thurmeier) on the film? Different roles. Mike is the director having done two of the films before. I’m like director-in-training. We like to be together for script -writing, story-boarding and editing. There is a lot of travelling for the voice recording as the actors live in L.A. and we are based in New York, so I will go out there whilst Mike stays back, or vice-versa. It’s more efficient that way. Scrat, the love him or hate him character that is probably the best known element of the series, is once again put through all sorts of challenges. What is the appeal of ‘torturing’ him? How do you go about inserting the cult and pop culture references, like the Star Trek Vulcan sign, into the film. Is that at script stage? Given what happens in this film, is it the final Ice Age? Are there other ideas out there? This entry was posted in Interviews and tagged Action, Adventure, Animation on June 27, 2016 by Cassam Looch. Cassam Looch has been watching films ever since his first trip to the cinema to catch Care Bears: The Movie and writing about them after a traumatic incident involving Moonwalker. If he's not hassling celebrities on the red carpet, he'll usually be found in the darkened screening rooms of Soho.